English Graphic is a book of essays on the subject of illustration, with the focus entirely on English artists using graphic media; drawings, prints and watercolours. The pieces are largely drawn from Tom Lubbock's weekly Great Works column for the Independent, with some longer pieces originally published as reviews or catalogue essays. The historical span of the book is broad - from the Uffington White Horse to the Winchester Psalter Hellmouth to Harry Beck's London Underground Map and beyond. 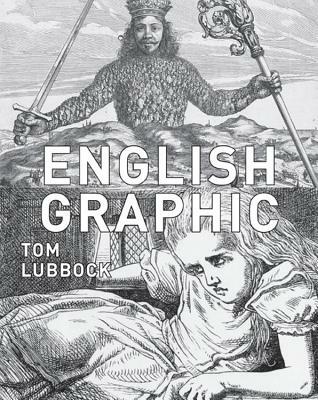 The high point of English Graphic art in the late eighteenth and early nineteenth century makes up the heart of the book, with Fuseli, Blake, Bewick and Palmer all the subject of extended essays. Tom Lubbock, critic and illustrator, was the chief art critic of the Independent from 1997 until his death in 2011. He wrote widely on art, books and radio and produced major catalogue essays on Goya, Thomas Bewick and Ian Hamilton Finlay. His illustrations, mainly done in collage, appeared every Saturday on the editorial page of the Independent between 1999 and 2004. His weekly Great Works column, from which these essays are taken, ran between 2005 and 2010.http: //tomlubbock.com/Jamie McKendrick was born in Liverpool in 1955. He taught at the University of Salerno in Italy and is the author of five collections of poetry: The Sirocco Room (1991); The Kiosk on the Brink (1993); The Marble Fly (1997), winner of the Forward Poetry Prize (Best Poetry Collection of the Year) and a Poetry Book Society Choice;Ink Stone (2003), which was shortlisted for the 2003 T. S. Eliot Prize and the 2003 Whitbread Poetry Award; and Crocodiles & Obelisks (2007), shortlisted for the Forward Prize. A selection of his poems was published as Sky Nails (2000), and he is editor of 20th-Century Italian Poems (2004). His translations of the poetry of Valerio Magrelli were published by Faber in 2009, and awarded the Weidenfeld Translation prize for 2010.